Best piece of advice I ever recieved. Once I was trying to highlight my hair and long story short I ended up severely frying and damaging my hair. It was stringy almost elastic feeling, rough, and breaking off. I went to a salon and told them what happened, she did all that she could including some cutting on areas that couldn't be salvaged. She then told me to go get hello hydration condioner and condition in it and rinse, then when I dried my hair to put a small amount in my hair and leave it. Did this for about a week and a half and I must say it worked miracles! My hair came back to life. Every time someone tells me their hair feels damaged or they want to feel a healthier hair I recommend this. i have used herbal essences hello hydration moisturizing conditioner and it smells great, it leaves my hair feeling soft and smooth, but you have to use it for at least 2 days to see results. it is very affordable, and is good quality. best if used with the shampoo, and used everyday. I really loved the smell but it was as effective as using water alone and didn't spread throughout my hair but stayed exactly where I applied it no matter how much I scrubbed and was almost impossible to wash out. I will not buy again. This Herbal Essences Conditioner claims that it is a moisturizing conditioner and after use, it is aptly named Hello Hydration. The best thing is that it provides hydration without being too oily in the process. Usually I only use shampoo because some conditioners tend to over moisturize and leaves my hair too frilly. This fortunately doesn't do that and provides just the right amount of moisture, shine, and bounce. For curly hair like mine, it's great because it is lightweight. Likewise, it also works as a great detangler because it's not heavy and it's safe enough to use every day without damaging your hair. Like most Herbal Essences brand products, it smells great and leaves a very comfortable and non overpowering smell after you're finished washing. The product says it is made out of orchid and coconut milk and you can definitely smell hints of it. You can pair it up with the coconut milk shampoo so you won't have differing smells if you want. Overall I would say that this conditioner is alright. My experience using it was neither disappointing nor phenomenal. I recommend only for certain hair types. Effectiveness I tried this conditioner because it said that it was going to hydrate my hair but didn't quite do that. I wouldn't say that it is any different than any other moisturizing conditioner out there. It just smells nice and claims to really hydrate. I've seen better results from cheaper brands of conditioner. Then again, hair types are different everywhere. I have very thick curly frizzy unmanageable hair, so this may work better on a different hair type. It left my hair feeling like it wasn't clean enough. It isn't a bad product, but it isn't the right one for me. Scent I like most of the smells that herbal essences has. My only issue with it is that it seems to be heavily scented. The scent stays in my hair and I like that, but I do not like having that much smell as I'm washing my hair. 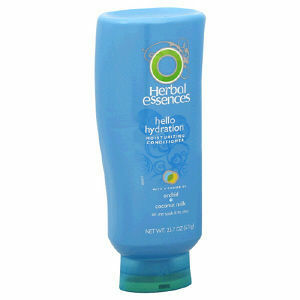 I really love using Herbal Essences Hello Hydration Moisturizing Conditioner. It smells great and the scent stays in my hair almost all day. It helps keep my hair feeling healthy and manageable, which is a bit of a challenge as I have very fine, dry, and brittle hair naturally. The only real downside I've found with using the Herbal Essences line of products it that it washes out hair color exceptionally quickly. I've dyed my hair in the past with permanent color only to have it fade out in approximately six weeks. Other people that I know have used the same brand of dye and had it last at least six months making me think my issue was related to the shampoo/conditioner combo that I was using. Overall though I would still recommend this product as its a decent value and does a good job on non-color treated hair. Scent Frequently friends and family members tell me that my hair smells good after I use this product. Clariol Herbal Essences Hello Hydration Moisturizing Conditioner is one that I use on a daily basis. The price is great in comparison to other conditioners and it works just as well as more expensive brands. The Hello Hydration formula works wonders on my long, coarse hair. It leaves my hair feeling soft and smooth and it helps to fight off dryness, which is a problem since I live in South Louisiana. This conditioner has a nice fruity smell and does a great job of detangling hair. You only need to condition it once and it is done. Another plus is that it doesn't leave my hair oily after using. I have noticed that after a few months of using the product, it loses its effectiveness in my hair, so I have to switch to a different brand for a while before I can use this again. I love grabbing Hello Hydration when I need a cheap conditioner. It pairs well with the Hello Hydration shampoo. I would recommend this product to anyone. 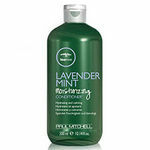 Clairol Herbal Essences Hello Hydration Moisturizing Conditioner is a conditioner that I would recommend for dry hair. My hair gets dry sometimes when I have been out in the sun too long. My hair also gets dry when I blow dry it too much. I don't like to walk outside when it is windy. The wind dries out my hair. This conditioner helps me with these problems. It makes my hair soft and smooth after a few uses. It gives my hair volume too. If I blow dry my hair after using this conditioner my hair becomes bouncy. Unfortunately, my hair is not as shinny as I would like it to be after using this. This conditioner has a nice fragrance. It is not a strong scent. I wouldn't call the fragrance a favorite scent of mine, but it smells fresh. I like the texture of this conditioner because it is not too thick. It comes in a pretty container with a lot of conditioner in it. It will probably last me a year or so. I like the price of this product because it is fair. Overall, this conditioner works great on my hair when it is dry, so it's worth a try. This is not my favorite conditioner. At least for my hair type, it's not one I could use every day. It's meant to be not just a conditioner, but a moisturizing conditioner according to the name. I have somewhat greasy hair already, so it just gives me too much moisture and makes my hair limp. If you have really dry hair, it would probably be great for you. I do like the way it smells and the way the bottle is designed-so none gets wasted! 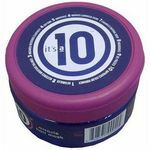 It is a nice cream consistency and applies to your hair nicely. I don't like how they dye it blue-it's very unnecessary to add dyes to a hair product. The shampoo that goes along with this is, in my opinion, plenty moisturizing enough so there is no need for a conditioner. If you only use conditioner occasionally, this would be a good option as the effects will last a long time in your hair. Overall, I would choose something else, especially for my greasy hair.